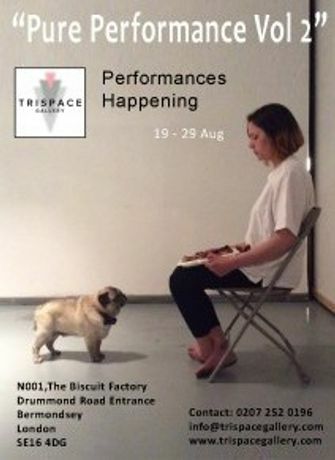 TriSpace Gallery has been hosting events and exhibitions for over three years at our venue in central London (only 5 minutes walk from Bermondsey Station). We are excited to host our next PURE PERFORMANCE event series this August and are currently seeking artists interested in showcasing their talent. We are interested in hearing from you whether you're a British or International performance artist and are working across different creative disciplines. This summer event series will start on August 19th and will go on through until the 29th. So if you play an instrument, do spoken word poetry, performance art, paint or anything else creative then contact us for more information at: performance@trispacegallery.com We look forward to hearing from you!